A flexible, part-time route to an Undergraduate Certificate award from the University of Oxford. The Certificate of Higher Education is a part-time course in which you study a main subject discipline, but also undertake study in other academic subjects. The course lasts between two and four years depending on how intensively you want to study. The credits you obtain from taking weekly classes, short online courses, linked day schools, practical weekends and attendance at the Oxford University Summer School for Adults all count towards your final award. If you are thinking of applying and would like to learn more, you can also visit our online Open Day in which Dr Elizabeth Gemmill talks about the structure of the course and answers frequently asked questions. You don’t need any formal academic qualifications, but you must be able to demonstrate genuine interest in and enthusiasm for the subjects you propose to study. You will need to have the time and commitment needed to work for a university qualification. Please note: it is possible to import credit up to a maximum of 30 points from OUDCE courses taken in the four years prior to registration. successful completion of a weekly class in Oxford. If you are based overseas, attending OUSSA is likely to be the most convenient way to undertake face-to-face study in Oxford. OUSSA gives you the chance to study in a small and informal group and have one-to-one tutorials with your tutor. As well as your classes, you can visit Oxford’s outstanding museums and art galleries, and enjoy concerts and theatre trips in the evenings. Our students specialise in one of eight main subject areas. These are Archaeology, Art History, Architectural History, History, Literature, Creative Writing, Philosophy and Political Economy. To qualify for the award of the Certificate, you will need to obtain at least 60 CATS points (but no more than 80) in your chosen main subject area. 10 of these points will come from taking an introductory course in the main subject area (see below for details of the introductory courses). The remainder of your credits in your main subject area, up to a maximum of 50 points, will come from taking weekly classes, short online courses, linked day schools, or classes offered in Oxford University Summer School for Adults (OUSSA). Your remaining credits need to be obtained by completing courses outside your main subject area. The course is designed in this way to encourage breadth of study and to enable you to take advantage of the wide range of courses in different subject disciplines that the Department offers. Courses are available in Archaeology, Architectural History, Art History, Classics, Computing and Mathematics, Creative Writing, Economics, Environmental Conservation, Film Studies, History and Politics, Languages, Literature, Local and Social History, Music, Natural Sciences, Philosophy, Psychology and Counselling, Religious Studies and Theology. You will also take a Study Skills module during your first term of study, the cost of which is covered by the programme fee. CATS points obtained from Study Skills courses are included in the 120 CATS points for the Certificate. You will be enrolled automatically on our online Study Skills course. You will be assessed through coursework you complete for the individual modules that you take, and through additional assignments designed to develop a broader knowledge and understanding of your main subject area. There are three additional written assignments, two of which are of 2,500 words in length, and one of which is 3,500 words. You also complete a two-part reflective learning journal totalling 2,000 words. There is no written examination at the end of the course. Students who successfully complete the course will be awarded Oxford University’s Certificate of Higher Education. Outstanding performance will qualify you for a Distinction. You will be invited to receive your Certificate at the annual Awards Ceremony of the Department for Continuing Education, held at the Sheldonian Theatre in Oxford. The Certificate carries 120 Credit Accumulation and Transfer Scheme (CATS) points at first year undergraduate level (FHEQ Level 4). It is therefore equivalent to the first year of full-time study. 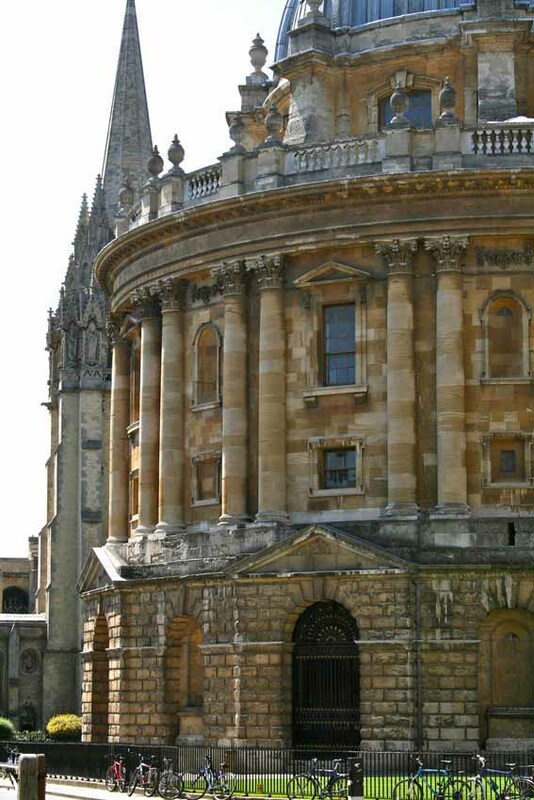 Oxford University’s Department for Continuing Education does not offer undergraduate degrees, but students who obtain the Certificate may, if they wish, apply to transfer the credit from the Certificate to another academic institution, such as the Open University, which does offer degrees. The transfer-in of credit is always at the receiving institution's discretion. Alternatively, students who complete the Certificate successfully and who wish to continue study in their main subject area may be interested in applying for other award-bearing courses within the Department for Continuing Education. The Department offers a number of Certificates and Diplomas at undergraduate level. For more information about these, please go to the Oxford Qualifications page of the website. The Course Director is Marianne Talbot. The Course Director is on hand to give you academic advice and guidance. She will help you review your progress, plan your academic pathway to completion of the award, and plan your progression to higher levels of study. There will be an induction day for all new Certificate students at the start of the academic year. This will include an introduction to the Department for Continuing Education and its facilities, to the Departmental Library at Rewley House, and to the other libraries and resources within the University that you will be entitled to use. All Certificate students will receive a University card. If you have questions you may contact us by email: certhe@conted.ox.ac.uk or by telephone: +44 (0)1865 270312. Please use the 'Apply' button on this page to obtain the application form, which includes a reference form. You should complete the reference form and send it to your referee, asking him/her to provide a reference by direct email to us. Please note that the reference is compulsory and we cannot consider your application without it. Please complete the rest of the application form and email it to certhe@conted.ox.ac.uk putting your name and the course title in the subject field. Together with your completed application form you should also email the following. Information on preferred subject areas and mode of study – Appendix C of the application form. A written statement of 400 words stating why you wish to study your chosen main subject. As part of your application you are required to submit a short piece of written work relevant to the main subject that you are choosing for the programme. Please see here for guidance. The application deadlines are Thursday 24 January 2019, Thursday 7 March 2019 and Thursday 9 May 2019. Completed applications will be considered after the deadline by which they are received. We will acknowledge receipt of your application via email. All applicants will be given a telephone or Skype interview. The interviewer will be looking for evidence of genuine interest in the subjects selected as the main and secondary subject areas, understanding of the time commitment involved, and whether you have sufficient time to devote to the course. This a popular course so we recommend you apply by the earliest deadline. Late applications will be considered if there are still places on the course. Please contact the Programme Administrator at certhe@conted.ox.ac.uk to check availability. The final decision on admission rests with OUDCE. There is a basic course fee for each year in which you are registered for the Certificate, up to a maximum of four years. For students starting in 2019–20 the annual programme tuition fee will be £1,200 for Home / EU students and £1,835 for non-EU students. An option to pay the fee in instalments is available. In addition, you pay the normal fees for each of the courses you attend. Programme fees are likely to increase slightly each year. For information on other sources of funding for UK/EU and International students, please visit our funding pages for further details. Studying on the Certificate of Higher Education led Georgia to writing a prize winning novel. Pilar lives in Brazil and gained the Undergraduate Certificate of Higher Eduaction by completing online courses along with a summer school in Oxford.